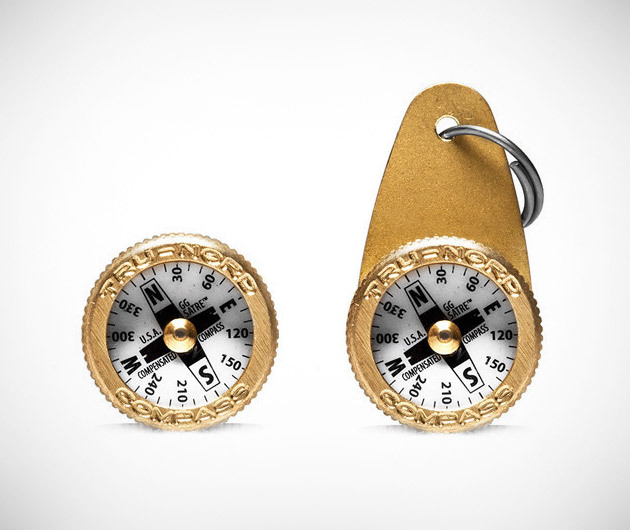 Compasses, where would we be without them? The Everyday Carry Brass Compass will keep you on track no matter where you are or whatever the conditions. Small enough to fit on a keychain, it's waterproof and practically indestructible. Designed and assembled in Minnesota for nearly 70 years, it's produced on precision CNC from solid brass and sports a jeweled movement that floats on a polished tapered pinnacle, all covered by a Lexan lens. It glows in the dark and is guaranteed for life.